Should be familiar with Electrical load Calculations / lighting etc. 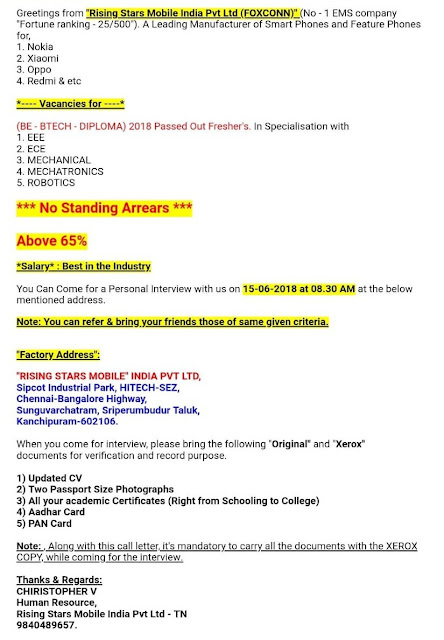 Education : B Tech / BE in Electronics and Electrical with Autocad experience. 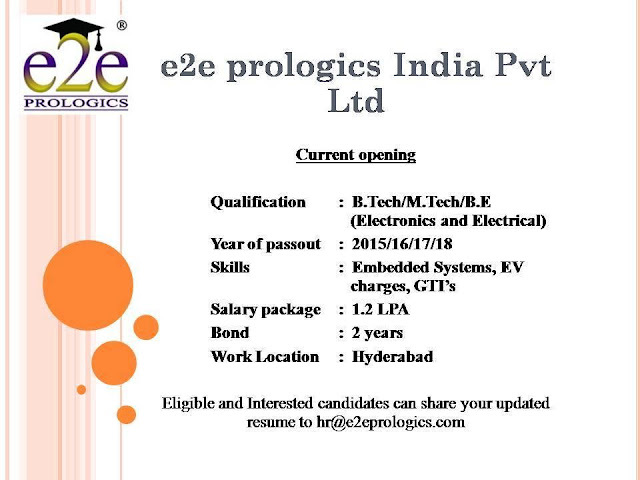 Diploma Electrical Engineer-2-3 year experience, should have knowledge of GIS LCC/LCP and CRP engineering experience and able to prepare the manufacturing documents. 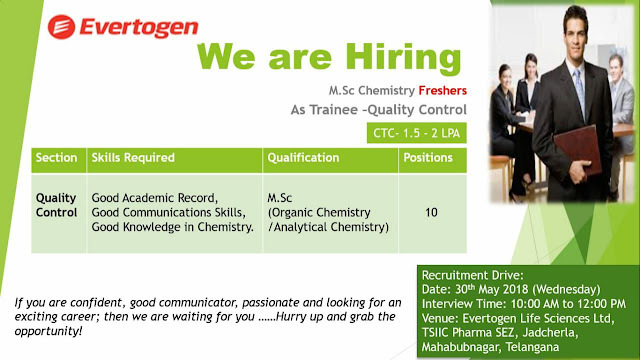 Experience : Min 2 years in Food and Water Testing, NABL Accredited Laboratory. About : ACCU has been operating in over 22 countries, owning over 500 professional technicians and supply chain management consulting and quality service for thousand product lines worldwide. 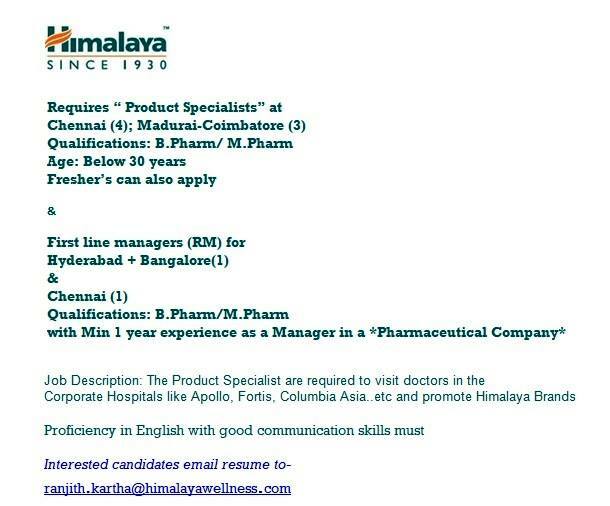 Immediate joining within 1 week. Should hands on the experience of all conventional instruments, reading drawings , prepare reports as per drawings and GD&T parameters. Have knowledge of machining, moulding & fabrication parts. Soft Skills : Leadership, Teamwork, Handling Crisis, Communication Skills, Adopting changes. Education : B.E/B.Tech (EC) pass-out with above 75% or 7.5 CGPA across academics. Shortlisted candidates will get email from me with venue details. It will be paid internship, after one year you will be converted to permanent role depending on your performance. Interested students should be available for written test in next week at our campus. 1. Basic level knowledge of developing Android based applications. 2. Good knowledge in OOPS concepts and JAVA. 3. Good knowledge of SQLite database. 5. Proficient understanding of code versioning tools, such as Git. • ASP.NET with SQL Server 2005/2008. • Must have worked on .NET 3.5/4.0/4.5 with C#. • Strong understanding of OOPS concepts. • Experience in MVC is an added advantage. 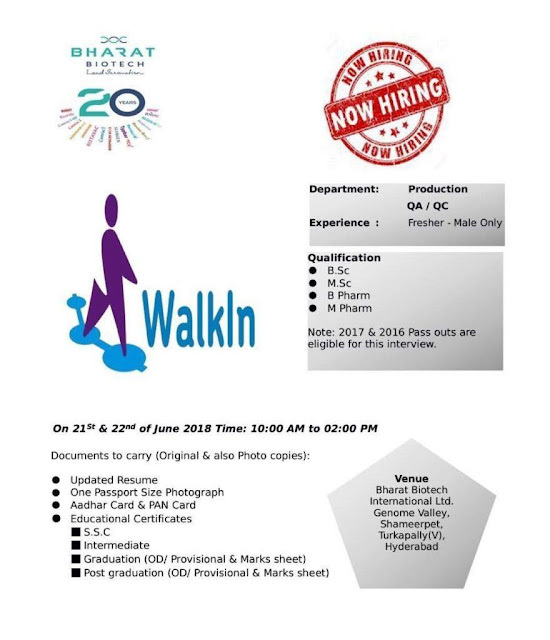 Scheduled walk in on 30th June 2018. Interested candidates can drop your resume to mohammed@dsrc.co.in to schedule interview. Language capability critical – Excellent English communication Skills. Basic understanding of Microsoft products , Networking , Operating System , Windows Server , Exchange. 1st floor, Oxford Chamber, Rustam Bagh. Land Mark: Manipal Hospital, Bangalore. About : MaxVal Group provides technology-enabled solutions and expert services. MaxVals technology-enabled solutions help reduce risk, cost, and inefficiency by streamlining operations. MaxVal helps clients build a better IP portfolio and maintain their competitive edge. Exposure to multiple Databases such as MYSQL, MONGO etc. Passion for SEO and overall internet marketing. Work independently on the planning and execution of the client projects. Perform in-depth keyword researching, website analysis, and competitors analysis. 3.Should have passion to work in HR domain. Organization : VedicSoft Solutions India Pvt.Ltd. Nearest Metro Station will be Noida Sec-15. 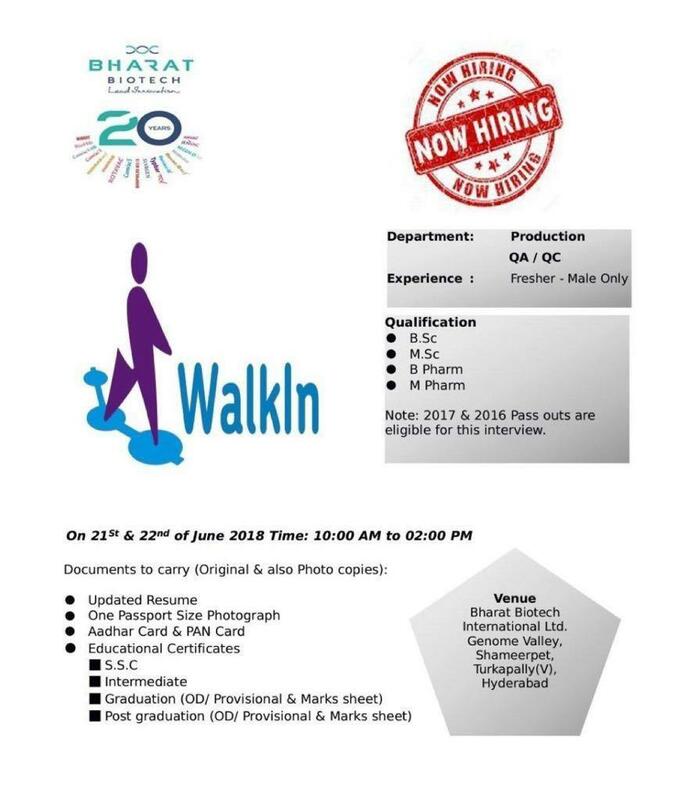 Please carry a Updated Resume & 2 Passport size photograph while coming for the interview. Interact with cross-functional teams and develop software applications as per client specifications. Knowledge of multiple technologies including but not limited to Visual Basic.Net, ASP.Net, C#, MVC, WinForm, WPF, HTML, XML, TFS, TCP/IP. Expertise in Agile and any one another model of SDLC, Object oriented Design and Development. Aspiration to work in IT industry. Should have good logical aptitude and be interested in problem solving. More than 70% in 10,12& B.tech/BE - All Branches ! 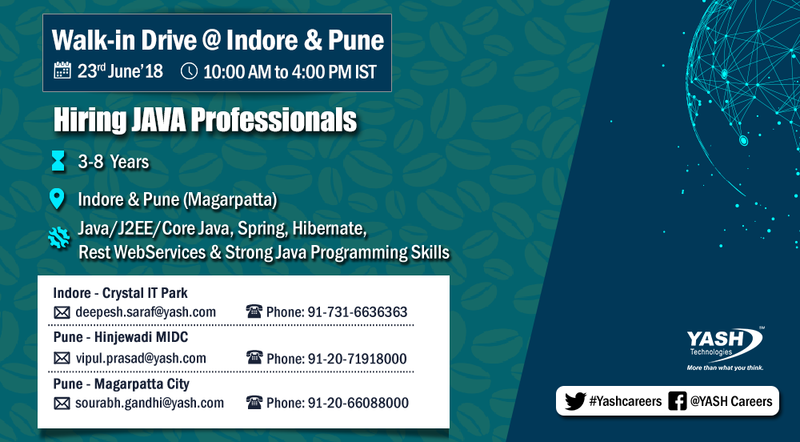 Should be well trained in java,advance java would be a plus point..!! -Please carry a copy of your resume and a government photo ID proof. -Please dont carry any electronic items like Laptops, Digital Cameras, USB Devices, etc. Organization : Deluxe entertainment services India Pvt. Ltd.
Brief Description: The Quality Control department of Deluxe Media Services is involved in quality checks & verification of home entertainment products such as Blu-ray, DVD & Digital Distribution (online streaming services). The intention of this testing is to achieve 100% compliance with the Hollywood industry standards. Test the candidates English grammar skills. 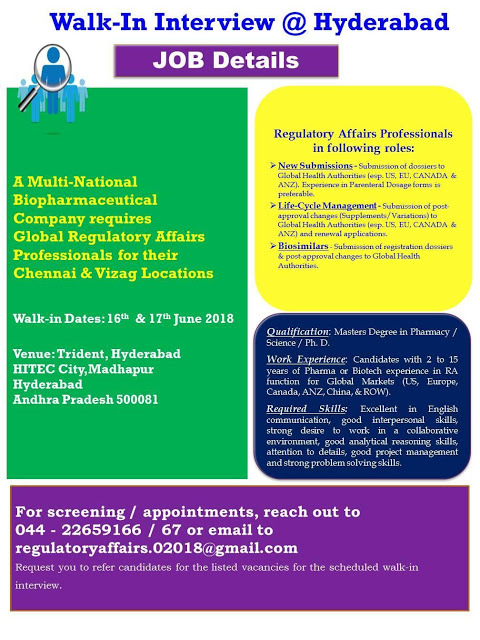 Position : Trainee- HR and HR Recruiter (IT/Non IT). # Scouting for Career Oriented Energetic candidates for a promising career in the field of Capital Market and Derivative Market. 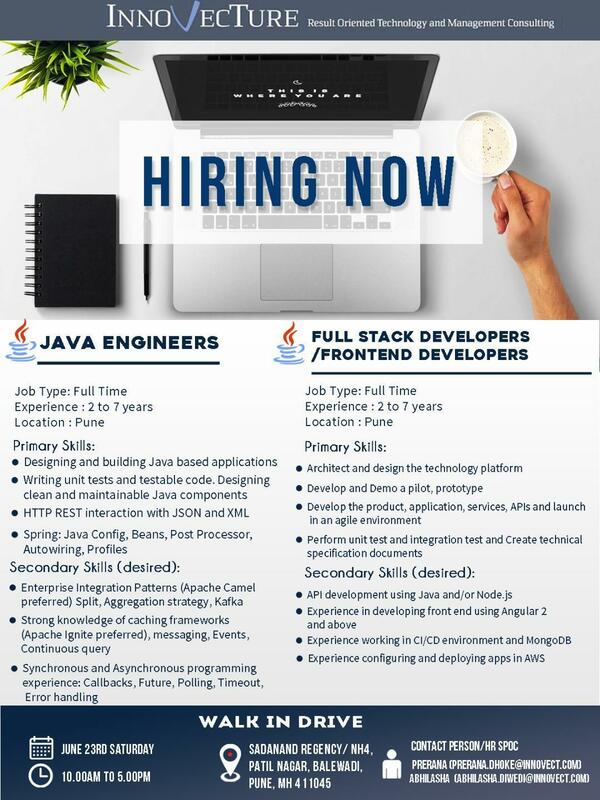 -Multitasking ability to wear many hats in a fast-paced start up environment. Good Presentational & Organizational Skills. About Company: SPERICORN TECHNOLOGY PRIVATE LIMITED is an ambitious and innovative company that provides service in Web and Mobile Application Development. Spericorn is a trusted, strategic and long term partner for many and a pioneer in global engineering services .The company provides competitive, innovative and the most powerful solutions. Spericorn has developed solutions and frameworks that can be used to cost effectively deliver web and mobility solutions to its customers. We guarantee strict adherence to International Quality Standards. Candidates graduated in 2016, 2017 can also apply. 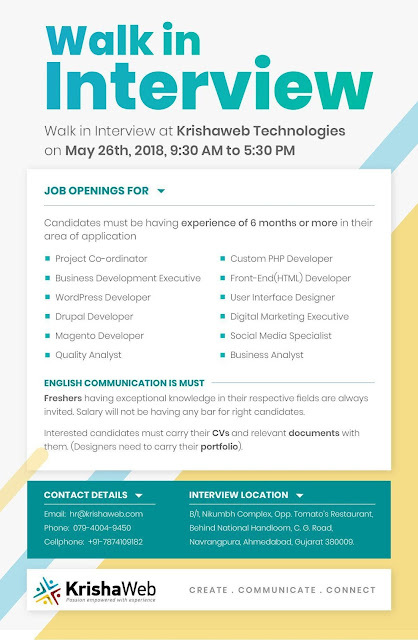 We are hiring for software developer trainees who can join our team in our office at Technopark. 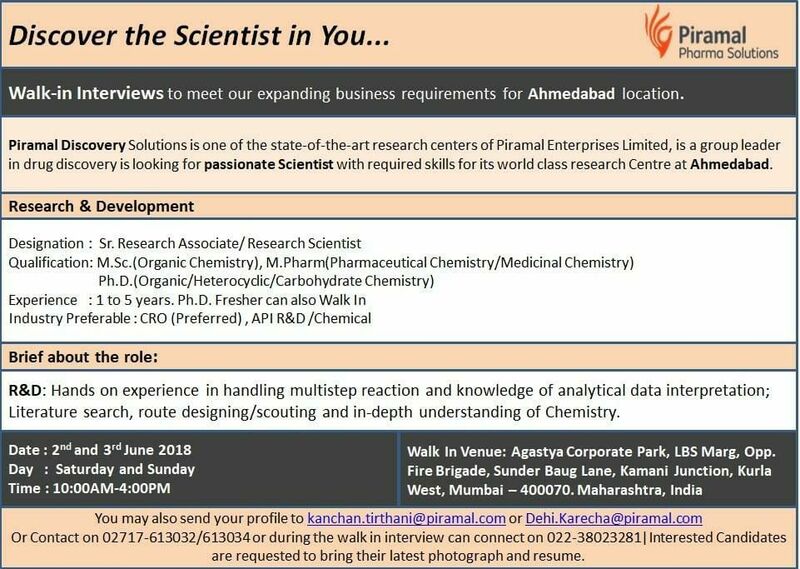 Interested candidates may send resume to careers@spericorn.com on or before 15 June, 2018. Prior knowledge of .Net, Asp.net and C# technology stack will be an added advantage. Onsite opportunities for UK & Europeans Countries. Training on new technologies as Full stack Developer. Client facing role with end to end product base projects. Medi-claim benefit for all employees with dependents covered. Elaborate accident cover with additional benefits. Annual events and team outings. Good Communication & Convincing skills. 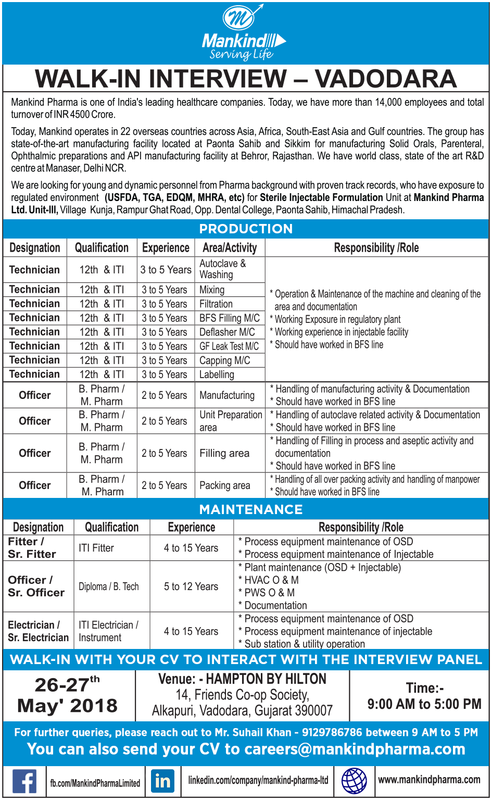 Experience in bulk & Mass hiring is required. Solid understanding of object-oriented programming (OOPs) concepts. Good knowledge on ASP.NET / Core PHP. About : Aliens Group is a construction and infrastructure company headquartered in Hitech City, Hyderabad. Aliens group consists of Aliens Developers, Aliens Infratech and Aliens Infra. Today, Aliens group is executing projects worth INR 5000 crores with an unparalleled growth rate of 300% in the year 2007-08. Since inception in 2004 the company has grown to a 500+ strong organization. The group is steadfastly becoming one of the prime players in Hyderabad’s real estate market, with a land bank of over 800 acres and mega projects in prime zones. Benefits : Attractive Salary with traveling allowances. 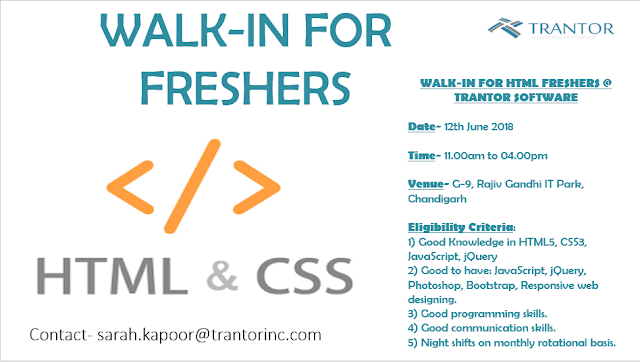 Interested and Eligible Candidates can Directly Walk-In to the venue. Experience : 3 to 12 Yrs. Notice Period : Max 45 Days. Advanced Oracle/SQL knowledge is highly desirable. Ability to negotiate and allocate resources appropriately for development and implementation. Pega admin knowledge with WebSphere Application server. This Engineer will work with the Power Compiler R&D team to implement synthesis product capabilities including but not limited to Synthesis for Multi-Voltage design, usability and infrastructure enhancements. The engineer will also have to support existing functionality and strive to improve the quality and maintainability of the software. Development will be in C/C++. The engineer will require to perform first level debugging on any issues hit during development, using standard tools available in-house. As part of the job, the engineer will also design and develop testcases in VHDL/Verilog to test the features/bug fixes. The engineer will also be responsible to validate the code changes across the existing Regression testing system and QoR suite. The engineer will have to adhere by the standard practices followed such as code review, testing the code through purify, testing across multiple platforms etc. Graduate in CS/EC/EE with excellent C/C++ programming skills, thorough in Data Structures and Algorithms and good Digitial Design knowledge. Knowledge of PERL, Tcl and Shell scripting; debugger(gdb). HDLs like VHDL/Verilog are an added advantage. Should be a self-learner, committed, good team player with good written/oral communication skills. Manage and maintain the organization’s website(s). Expertise in Social Media Optimization (SMO ) and Social Media Marketing (SMM ). Search Engine Optimization of the websites. Identify new trends in digital marketing , evaluate new technologies and ensure the brand is at the forefront industry developments, particularly developments in mobile marketing. 0– 1 year of experience in SEO/ SMO/ SMM. Great written & verbal communication. About : Continuum is a marketing services company with offices in Silicon Valley, New York, Gurgaon and Chandigarh (India). Our mission is to enable our clients to maximize the effectiveness of their marketing operations, to enable them to create marketing leverage. We are proud to have earned the trust of leading marketers in various industry sectors. Work with product managers, backend engineers and usability engineers to implement the refined user experience. Performs testing of the page in terms of typography, alignment, colors, browsers & OS Provide attention to detail, customer-service orientation, and creativity in problem-solving. Make sure that the components on the page are well optimized. Must have strong knowledge of digital marketing. Knowledge of developing HTML layouts having responsive designs. Excellent critical thinker with creative solutions to solve challenges and meet business requirements. Have good understanding and knowledge of UX design, Interaction design and Information Architecture design. Knowledge of best practices for email marketing, including email creative, segmentation, dynamic content, testing methodologies, deliverability, list growth, etc. About : Ahura is a well established property development group with a wide range of residential and commercial projects completed in the city of Pune. Mr. P.A. Inamdar and Mrs. A.P. Inamdar laid the foundation of the company in 1977. Today, almost four decades later, Ahura has built and maintained a reputation as a customer focused organization with a dedication to delivery and excellence in engineering. About : Our full-service digital agency bases strategy in user behavior to identify the right content, the right messaging, and the right channels for specific industries, products, and brands. We deliver integrated content strategy, SEO, PPC, and content promotion solutions that make our clients’ marketing efforts smarter, more agile, and more effective. Generating leads for business development through e-mail campaigns, LinkedIn and Facebook. Monitor social media for company mentions and engage with customers where relevant. Experience using LinkedIn to network & Working knowledge of email marketing would be an advantage. About : Our offshore Web Development Services offer a range of solutions over multiple platforms like custom website development , design, mobile development, Windows, Web Services, REST APIs, e-commerce solutions designed to suit your needs. Providing our clients with optimum quality based solutions to cater to the ever changing requirements is our priority. Technoxis always sets high goals for its employees and provides the tools and training needed to ensure success for each individual. We look for people who want to have their career goals stretched - people who love a challenge and have a real hunger to keep learning. 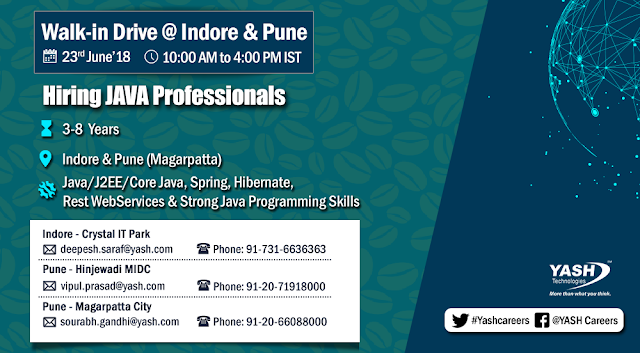 You will get excellent training working on live projects and seeking commercial client facing development role. 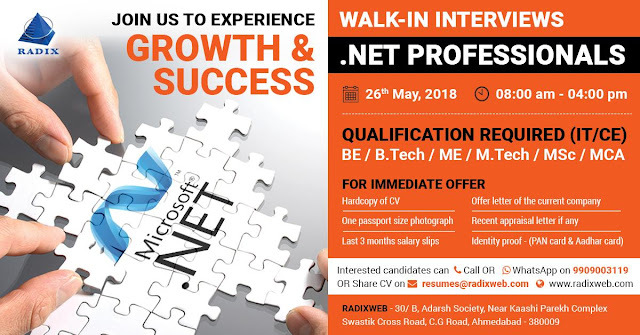 Trainees must have basic knowledge in (ASP.NET, C#, VB.NET, SQL Server) creating and maintaining web-based applications. You must have the ability to coordinate with web developers. You as a Person: You are hard working, enthusiastic and disciplined. You value integrity and adopt a positive approach in whatever you do. Designation : Revenue analyst and Online Data entry Executives. Alternative Saturdays are off and all Sundays are fixed off. He/She will be working in the corporate office in Kormangala. * No need of strong communication skills, Should be good at using Laptop, Mobile applications and some knowledge on Internet. * Should be able to work on MS Office, Excel sheets, MS word and few basic applications. 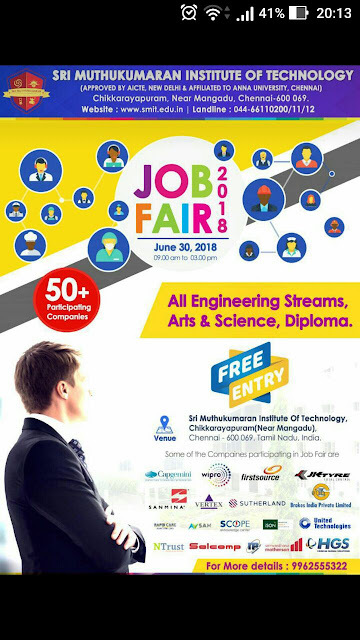 About : Rathinam Group brings education, Information Technology (IT) development and infrastructure development (IT Park / Housing Development) under the same roof. 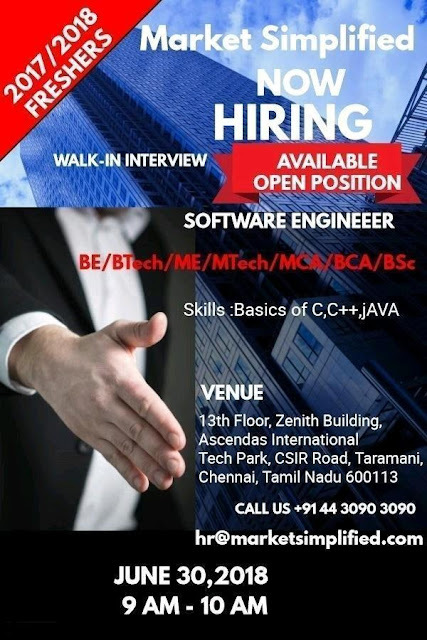 It is situated in South Coimbatore on NH 209 in a 70 acres campus named Rathinam Techzone. Walk in Date : Saturday, 26th May 2018. 2nd Sector, HSR Layout, Bangalore – 560102. Walk in Date / Time : Saturday 2nd JUNE 2018, 10 A.M. - 1 P.M.
Resumes should reach us on or before Thursday 31st May 2018 by 4 p.m. Please bring one photo-id proof. Qualification : MSc ( Organic Chemistry). You are advised to carry the below set of mandatory documents. All Educational and Experience Certificates Xeroxes. Any Id Proof and passport size photo. Qliktag is looking for enthusiastic interns to join our Hyderabad team for 3 months’ internship. During the internship you will learn as well as contribute to product features. Interns that excel and display strong potential during the 3 month internship will be considered for a full time position opportunity & offered a position at the end of the internship. • Should have basic knowledge in Node.JS. • Understanding of NoSQL database systems. • MongoDB understanding is preferable. 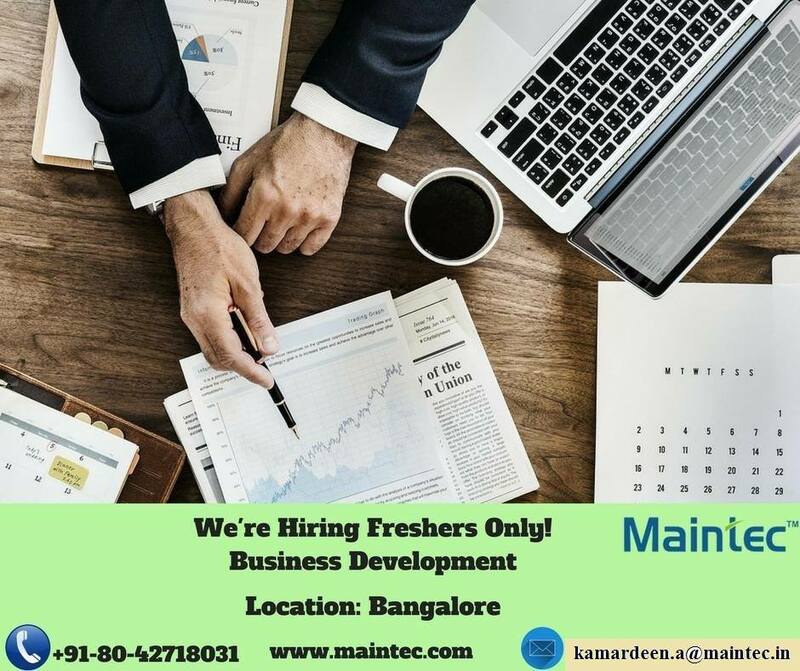 We are looking for talented and entrepreneurial-minded freshers/university students/management trainees for the sales and marketing of a real estate web portal. This is a dynamic role with a high level of empowerment and decision making ability. Identify, contact and engage prospective clients. Collect customer data via websites, email, phone and add it to the portal. Provide assistance to new clients via chat, email or phone. Come up with ideas for new features and enhancements for the portal based on self and client input. Discover and explore new revenue generation opportunities. This is an excellent high growth opportunity to be a part of a young entrepreneurial team, with a fast learning curve and be involved in all areas of an upcoming dotcom company in one of the fastest growing areas of new media. Access Healthcare is looking to hire over 850 people to join their team. About : Access Healthcare provides you opportunities to build your career in the healthcare revenue cycle industry. Our client partners (employees) work in a spirit of collaboration with our customers to deliver best-in-class revenue cycle services. Get smarter about the business of healthcare, join a company that values your work and enables you to become a true partner to your clients by investing in your growth besides empowering you to work directly on business outcomes that matter to your clients. The process involves viewing documents on the screen, identification and capture of the right information on to the right fields. The document types include prescriptions, lab reports, and imaging documents. We are also hiring fresh graduates as Assistant Client Partners. Note: Please apply before the link is removed / expires. We are hiring B.Tech Freshers for Software Trainee Engineer Position for our client - US Multinational. 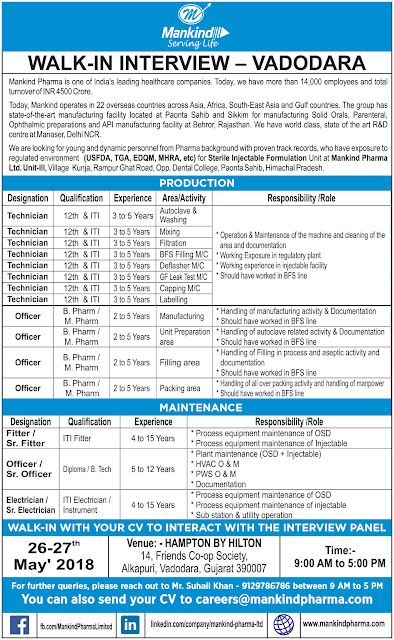 Below details on the position are for your reference. Percentage : 65% through Academics (10, 12, & Btech) – Note : even 64.9% is not eligible. 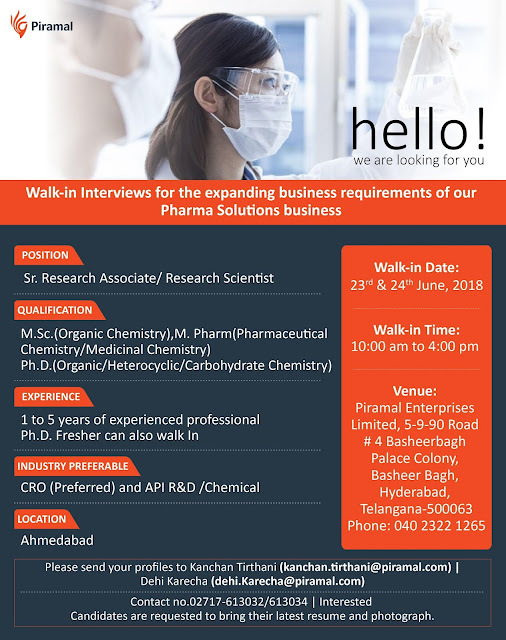 Please carry a copy of this call letter while attending the interview. About : Star Trace Pvt. Ltd. have made an indelible mark for ourselves in the engineering industry as a respectable manufacturer and exporter of magnetic and vibratory equipment. In addition to our manufacturing abilities, we have also come to be known for our ability to provide turnkey solutions to our customers. Over the years we have been successfully providing fabrication, erection, installation and many other on site activities that range from planning to execution of projects. Flat hierarchy - We hire people based on the vibe and attitude they carry with them. Once they get into the team, leaders will only guide the way to fit them into the best deserving role and hierarchy's play is over right here. Performance - People are given the space to learn nuances by doing and these learning will help them grow better and develop unique skills. The more they learn and innovate, the better their credibility grows. Work Ethics - Working at Contus is a mix of commando operations and clockwork in equal measures. Based on the demands we expect our stars to buckle up and perform. Develop new web-apps using Python,Django, flask, Tornado etc. Work on MySQL / No-SQL Databases, Cache system. Maintain the existing apps and add new features in it. The soul lies with the support. Being responsive, instantaneous, to the point (with politeness) and most importantly, cool at all situations is something which you would be doing while occupying the support desk. Understand customers' issues and acknowledge them in a timely and efficient manner. Provide positive customer experience, even under negative circumstances. Proactively follow-up with all new customers to ensure their positive onboarding experience. Understand the critical aspects of products and services, and communicate them intelligently to clients. Communicate with tech leads, project managers and team members to provide a high clarity support for clients. Sharp listening skill and command over English in writing and speaking. Strong ability to adapt to new technologies in quick time. Excellent communication skill, both verbal and written. Ability to remain professional, confident and patient at all times. Ability to work round the clock and tight deadlines. Knowledge in typing will be an added advantage. Note : This position will be closed 23rd May, 2018. Please email the resume before that. About : Modak Analytics was founded in 2010 with an aim to help clients leverage advanced analytics to further their business goals. Our core team is highly experienced with over 45 years of cumulative experience and have held senior management positions in top IT firms. The management team has 6 patents in the field of data analytics for innovative solutions. With the will and vision to provide world class big data related analytics services, we seek to become one of the preferred and among the top analytics service providers in the world. - Artwork for Blogs & Newsletters. - One-Point Contact for app design requirements and enhancements.